Opened to the public in 2015, the new Parque Botánico-Orquidario is located in the centre of Estepona, in the new central park. Covering more than 1,000 square metres, the modern building with prominent glass domes attracts the attention of people strolling down the Calle Terraza. 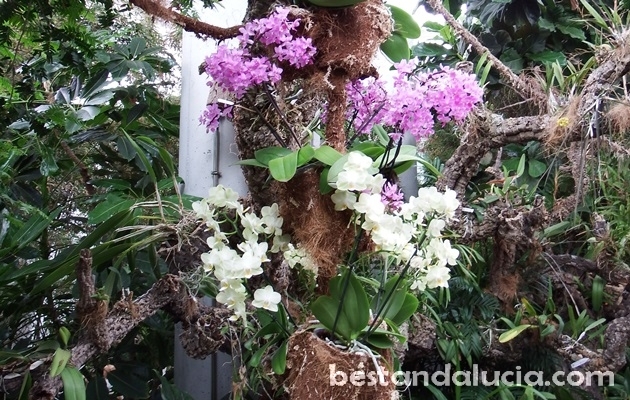 Estepona’s Orchidarium boasts more than 1500 varieties of Orchids – it’s the largest collection in Europe. 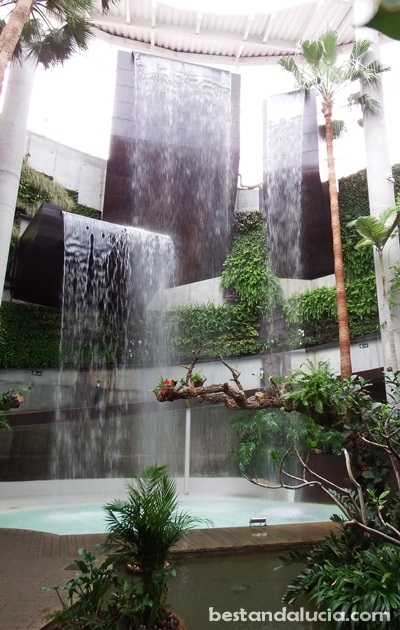 In the centre of the vast plants exhibition there are three huge waterfalls which make you feel as if you were in a real rainforest! Stand on wooden bridge just in front of them to enjoy the refreshing coolness of the intense vapour – best appreciated in summer. There is also nice bamboo forest and other rare subtropical species of plants spread across two floors of the Orchidarium. must see for the flower enthusiasts! The entrance for adults is 3 euros. Remember that the Orchidarium is closed on Mondays.